From the Horn of Africa to within and surrounding Israel’s borders, a staggering amount of countries and terrorist groups seek Israel’s destruction and the genocide of Jews. The greatest existential threat Israel faces remains the extremist, leading state sponsor of terror, the Islamic Republic of Iran, whose fundamentalist ideology mirrors that of terrorist groups such as ISIS and the Taliban. In 1938, British Prime Minister Neville Chamberlain appeased Hitler and signed the Munich Agreement, overlooking Hitler’s plans to annihilate the Jews and take over the world. History was repeated in 2015 when the world’s superpowers signed off on the Iran nuclear deal, which in Israeli Prime Minister Benjamin Netanyahu’s words: “…would not block Iran’s path to the bomb. It would pave it.” By signing the Iran deal, the world has again disregarded the dire threat Iran poses to the Jewish State and the Jewish people. In order to fulfill its promise to wipe Israel off the map, Iran is aiding and abetting terrorist proxy groups like Hamas and Hezbollah who are strategically placed along Israel’s borders. The Iran deal lifts effective economic sanctions and unfreezes upwards of $150 billion in assets, giving Iran more cash to destabilize the Middle East and fund more terror against the Jewish State in the form of rockets into kindergartens, surprise ambush attacks at cafes in Tel Aviv and the stabbing of Israeli teenagers in their sleep. History shows that when a people proclaim their desire to annihilate the Jewish nation, they mean business. So why is the world turning a blind eye to Iran’s countless threats towards the Jewish State? If the world is choosing to appease Iran and its threats towards Israel instead of confronting them, how can we not expect history to repeat itself? While Gaza and the West Bank’s arsenal may not pose an existential threat to Israel, the Palestinians certainly do pose significant tactical and strategic threats and have the ability to ignite wars, as they have done in the past. Throughout the last several decades, Palestinian terrorist organizations such as Hamas, Islamic Jihad, Popular Front for the Liberation of Palestine and the Al Aqsa Martyr’s Brigades have terrorized innocent Israeli citizens with rocket launches, suicide bombings, and most recently a surge of stabbings. The goals of these terror groups is war, destruction and subjugation to radical Islam. Their cruel version of war is comprised of cowardly attacks and firing rockets into densely populated civilian areas with the goal of mass casualties. The threat Palestinian terrorist groups pose towards Israel and Jews around the world is significant and cannot be brushed aside. They procure their guns, rockets and ammunition through a series of complicated smuggling routes meant to deceive the Israelis. Weapons often originate in Iran and are shipped through countries like Sudan where they are smuggled through the Sinai Peninsula and are finally handed over to terrorists on the ground in Gaza. In one scenario in 2014, weapons were shipped from Damascus to Teheran, then taken to the Iranian port of Bandar Abbas, then to the Iraqi port of Umm Qasr, and shipped to the Port of Sudan where they would have been smuggled into Gaza. Fortunately, the Israeli military was one step ahead and destroyed the shipment before it reached Sudan and could be used to harm any Israelis. Since the brief Second Lebanon War ended in 2006, Israel’s northern border, which runs along Syria and Lebanon, has been relatively quiet, with the exception of a few isolated incidents. Over the last ten years since the war ended, Hezbollah has been resupplying their weapons stockpile. At a recent UN meeting, Israeli Ambassador to the UN, Danny Danon, said that Hezbollah has 120,000 missiles in their arsenal. Similar to Hamas, who have no regard for human life, Hezbollah has moved the majority of its weapons, headquarters and launch sites into densely populated towns, strategically placed near schools, hospitals and Mosques. 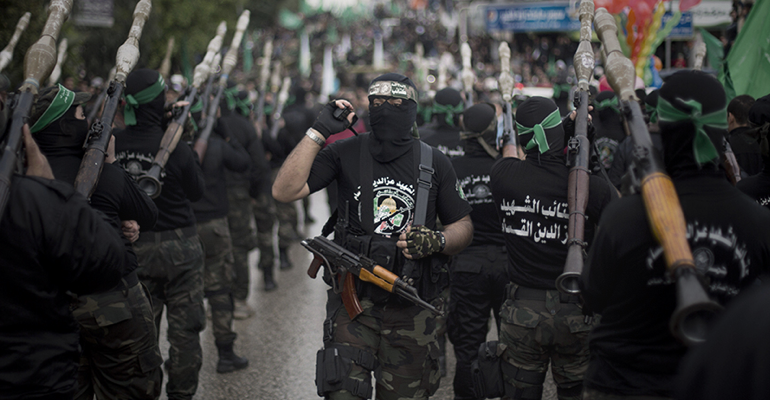 As does Hamas in Gaza, Hezbollah receives its weapons and finances through Iran who contribute roughly $200 million a year – that’s $2 billion since the Second Lebanon War. Hezbollah also obtains funding through drug smuggling, diamond trading and money laundering. A future war with Hezbollah is unfortunately inevitable. As time goes by, Hezbollah is becoming increasingly stronger. Former IDF Chief of Staff Benny Gantz said that Hezbollah’s military is one of the most powerful armies in the region, capable of striking anywhere within Israel’s borders. The United Nations and western world are disregarding UN Resolution 1701 which calls for the disarmament and disbanding of Hezbollah given the imminent threat Hezbollah poses to Israel. With the stockpile of weapons and military that Hezbollah has, it is only a matter of time before the next war breaks out. Long gone are the days when Israel could defeat her enemies in six days. As the threat again reaches an existential level, Israel continues to be on guard. Israel is the only Jewish nation in the world, as Iranian leaders put it, a “one-bomb country”. Israel knows it’s fighting not just for its own survival, but for democracy, human rights and the safety of the entire Jewish Diaspora. Israel remains strong and defensive and strives to be at peace with all, but if the need for a preemptive strike to exist to safeguard its borders and its people, she is more than capable and has done so in the past. Even if the world continues to stand idly by while innocent blood is being spilled, Israel will not be deterred to stand up to its enemies, even if it’s standing alone.